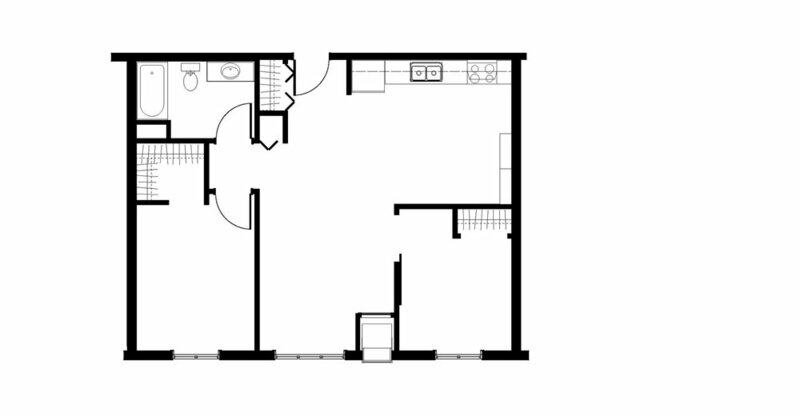 Our two bedroom units feature an open-concept, modern living design, with lots of natural light throughout. Open shelving in the kitchen makes the space feel clean and spacious. Some third floor units have a view of downtown Saint Paul. Income restrictions apply; see chart below. Tenant is responsible for electricity. Heat and water included in rent. Villa del Sol is a non-smoking community. Rents subject to change. Please contact us for additional details or see FAQ. The maximum occupancy for this unit is 4 people, minimum of 2 people. NONE CURRENTLY AVAILABLE, contact us to get on the waiting list.